Jeepney is the number one mode of transportation in the Philippines. It is a 16-20 passenger type vehicle. It is commonly found anywhere in the Philippines. Mostly of the Filipinos daily ride on it whether they are in the city or in the province. When you are in a jeepney you get to encounter different kinds of passengers. Students, office workers, sellers, couples, lovers, old people, teenagers and sometimes families. 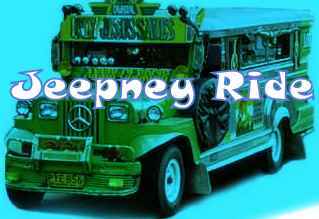 This is what this blog will be all about; Jeepney ride experiences and its passengers. Hope you will enjoy this ride with me.